The Mommy and Me program is geared towards children ages 2-6. 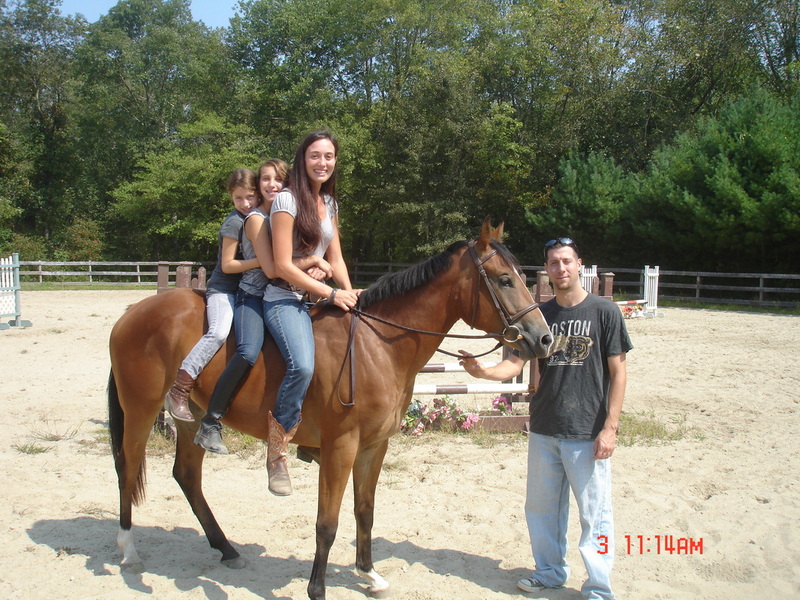 Mother (or Father) and child receive a tour of the farm, meet and greet with the animals and a pony ride for the child! For the group of beginner women, or seasoned riders, looking for a fun night out at the farm with their friends! Sessions are 1 hour per group, riding time varies upon groups experience level. All sessions are followed by a glass of wine and some snacks, provided to you, while you enjoy the farm setting and sit back and socialize! Participants are welcome to sit back and enjoy the atmosphere and social time for as long as they wish after their riding lesson! This program is great for the adventurous group of friends looking to try something new!